Details: This split five-spoke design is not as simple as it seems. With a vertical taper accent, the Rodder offers a time-tested look with a modern flare. But to keep it in the realm of retro, gloss black center polished outer. - Split five spoke retro design. - Wheel designed to clear the large hubs of classic cars. - Small snap in cap to keep a clean classic style. 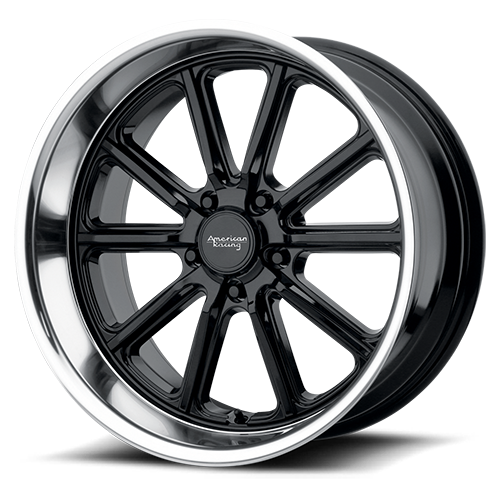 - Classic gloss black center polished outer. - Smooth lip gives a modern deep lip feel.